A Victorian urban fantasy featuring duelists, demons, and the dark arts, inspired by The Picture of Dorian Gray. Victorian London is a place of fluid social roles, vibrant arts culture, fin-de-siècle wonders … and dangerous underground diabolic cults. Fencer Evadne Gray cares for none of the former and knows nothing of the latter when she’s sent to London to chaperone her younger sister Dorina, an aspiring art critic. At loose ends after Dorina becomes enamored with their uncle’s friend, Lady Henrietta “Henry” Wotton, a local aristocrat and aesthete, Evadne enrolls in a fencing school. There she meets George Cantrell, the kind of experienced fencing master she’s always dreamed of studying under. But soon, George shows her something more than fancy footwork—he reveals to Evadne a secret, hidden world of devilish demons and their obedient servants. George has dedicated himself to eradicating demon and diabolist alike, and now he needs Evadne’s help. But as she learns more, Evadne begins to believe that Lady Henry might actually be a diabolist … and even worse, she suspects Dorina might have become one too. Molly Tanzer is the British Fantasy and Wonderland Book Award-nominated author of Vermilion and The Pleasure Merchant. She is also the co-editor of Mixed Up: Cocktail Recipes (and Flash Fiction) for the Discerning Drinker (and Reader). For more information about her critically-acclaimed novels and short fiction, visit her website, mollytanzer.com, or follow her @molly_the_tanz on Twitter or @molly_tanzer on Instagram. Tanzer mixes Oscar Wilde’s The Picture of Dorian Gray with queer romance and demonology in this subtle, beautiful Victorian-era fantasy novel. […] The perfectly depicted relationship between the sister [protagonists] takes center stage in a complex (though never overplayed) web of art, swordplay, romance, and, much to the sisters’ surprise, actual demons. Gorgeously portrayed three-dimensional characters and sensual prose propel this smoothly entertaining story to an emotionally affecting end. An artful, witty, Oscar Wilde pastiche with the heart of a paranormal thriller. A delightful, dark, and entertaining romp with serious intent behind it. The writing is so smart and sharp—Molly Tanzer is at the top of her form in this beautifully constructed novel. Sure to be a favorite of readers and critics alike. Tanzer’s slow, languid steps through her Victorian England give the novel a slow-burn quality that can lull you. […] What [Tanzer] has done with Creatures is offer a gender-swapped Picture of Dorian Gray, with Wilde’s sense of class-outrage-as-humor intact but a more meaty feast of reward and punishment. […] Tanzer [demonstrates] exceptional grace with writing complex female relationships. Extraordinary, peculiar, odd and compelling. […] The atmosphere breathes life. It has a generosity of spirit, beneath the dark bits. And the presence of queer women is delightful. There has never been a better time for a spirited, feminist reinvention of The Picture of Dorian Gray. Molly Tanzer has taken a wickedly sensuous classic and transformed it into a lively supernatural tale featuring lovestruck teenagers, diabolical botanicals, mysterious paintings, and—oh, yes—demons. Creatures of Will and Temper is a wild ride from start to finish, beautifully and boldly written, and a most worthy successor to Oscar Wilde’s scandalous novel. Decadent Victorians clash with dueling demon-hunters in this page-turning reinvention of Oscar Wilde’s classic tale. I loved it! Tanzer wraps the reader up in a world where nothing is as it seems and notions of what is good or evil, moral or amoral, are up for grabs. With a satisfying mix of strong characters, lush descriptions, steady pacing, and plenty of exciting action sequences, this is a great choice for fans of supernatural fantasy set in the Victorian era. The Victorian era setting […] adds a formality that contrasts nicely with the dueling and demonic communion. At its center is a difficult sibling relationship and the Gray sisters’ parallel efforts to find somewhere to belong. Creatures of Will and Temper is a more than worthy successor to its source material, part tribute, especially with the flashes of Wildean wit in Lady Henry’s dialogue, but fully its own creature in the end. 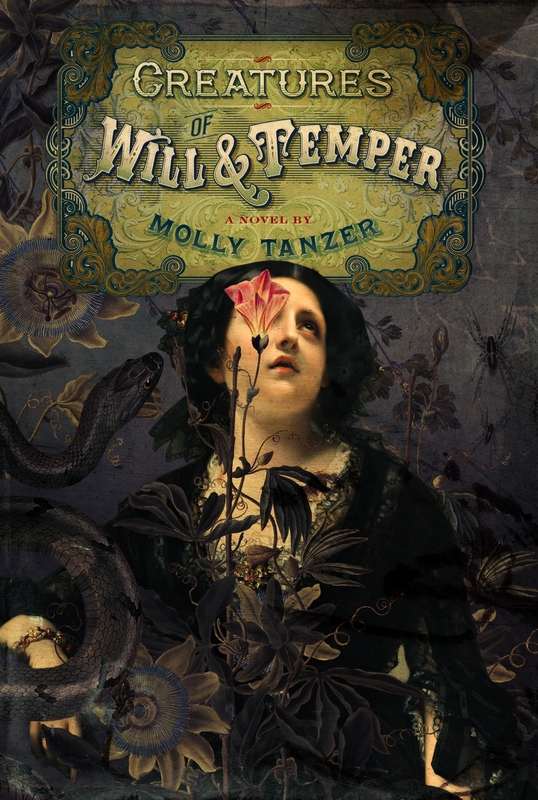 Molly Tanzer’s Creatures of Will and Temper is a smart, gorgeously written book about passion, loyalty, and love in many forms. And if that’s not enough for you, it has demons and terrific fencing scenes! I loved this book, and you will too. Creatures of Will and Temper is a perfectly queer homage to The Picture of Dorian Gray. It follows in the spirit of Wilde’s best known work while changing it, at its core, to be about the bond of sisters and the strength of women, in more than just the physical aspects. The fantastical element is a sideline to the heart of the story—it drives the plot, but it is not what makes this book so wonderful. Creatures of Will and Temper is an exploration of love: sisterly love, yes, but also romantic love, love of beautiful things, misguided love, and love for the world around us. It is a story of acceptance, of understanding, of correcting erroneous first impressions, and the bond of a disparate group of individuals in a shared bad situation. It is a timely story, and one that I think we all need right now.